Arsenal boss Unai Emery is reportedly confident of the club's ability to sign Paris Saint-Germain midfielder Adrien Rabiot this coming summer. Since Emery's arrival at the Emirates, Arsenal has been linked with a move for a number of players, including Rabiot, as part of their plans to rebuild the team under their new boss. Following his refusal to sign a contract extension with PSG, the 23-year-old midfielder's relationship with the club has become strained, to say the least. Last year, the club's sporting director Antero Henrique revealed the Ligue 1 outfit's intention to "indefinitely" bench the Frenchman, with coach Thomas Tuchel confirming that the situation remains the same to this day. Tuchel said, "I did not ask for Rabiot's reinstatement. The situation is the same as in November. The club decided to suspend Adrien." Despite having had a number of potential loan deals fall out in recent weeks, Emery is reportedly confident of acquiring Rabiot, who will be available on a free transfer when his contract expires at the end of the season. 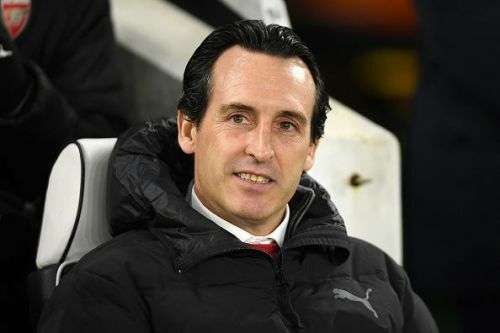 A report in The Mirror claims that the Gunners boss has an advantage in the pursuit owing to the strong relationship he had formed with the midfielder during his two years as PSG manager. Emery remains a big admirer of the Frenchman and would reportedly love a reunion with him this summer. Rabiot was also heavily linked to La Liga giants Barcelona but their recent signing of Frenkie de Jong means that their search for a defensive midfielder is likely over. This puts Arsenal in the perfect position to secure the Frenchman's signature, although Premier League favourites Liverpool and North London rivals Tottenham Hotspur will also make prime use of the situation. While Rabiot's PSG exit is inevitable, his ultimate destination is yet to be ascertained. While Arsenal will lock horns with Manchester City in a crucial Premier League clash, PSG will face Lyon in Ligue 1 later tonight.